Are you searching for an extraordinary deal to rent, lease, or buy the Muratec MFX-3070 multifunction printer within the limits of your business’ tight budget plan? Great, there is no need to look any further! Arizona Copiers has the best selection of high caliber Muratec models at marked down costs in our inventory. Whichever design or configuration you are looking for, our trained and experienced professionals will find the optimal solution. At Arizona Copier, we are all committed to complete customer satisfaction, so we place a high priority on fast delivery, outstanding customer service, and aid with all your supply and repair needs. Our friendly representatives look forward to helping you get started immediately! We encourage you to call us today with all questions or requests you have at 602-428-5885. 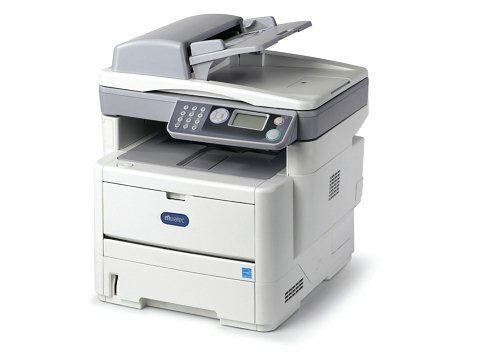 The Muratec MFX-3070 multifunction printer produces monochrome output at high speeds of up to 30 pages per minute. The 50-sheet automatic document feeder also allows copying and scanning of documents conveniently. For documents that are not appropriate for the document feeder, the letter-size platen glass enables easy copying, scanning, or faxing of these larger documents. The high-resolution 2400×600 dpi LED print engine ensures that all prints and result documents are of superior print quality on various types of office paper. This powerful Muratec model desktop solution features several tools to proficiently capture, send, control, and print all of your business’ documents. Reduce your business’ paper consumption and daily operational printing costs by utilizing the advantageous embedded feature for duplex printing or copying. When you purchase or rent the Muratec MFX-3070 from Arizona Copier, you will be able to install and learn how the machine operates within a matter of minutes out of the box. There is no need to be a rocket scientist or spend unnecessary time with complex training to use this Muratec model. The user interface is as simple to navigate as any smart phone or tablet computer. With a swipe or tap of a finger, you can quickly navigate through the system to all applications and printing features. Furthermore, paper can be reloaded into the large capacity cassette and bypass tray readily. The replacement toner and drum cartridges can be changed within minutes, so your workload never fails behind. Get Your Own Muratec MFX-3070 Today! Arizona Copier combines superior copiers with excellent customer service to provide an unparalleled purchase experience for our loyal customers. Whether you are interested in sell, rental, or lease purchase options, our experienced company is guaranteed to find you the most cost-effective solution in the entire state of Arizona. We are confident that you will never find a company that can match our high-quality expertise, dedication, and inventory. The fact that the majority of our business results from repeat customers speaks volumes about our high standards of operation. So, please call us at your earliest convenience at 602-428-5885 to start your next best purchase of the multifunction Muratec MFX-3070 printer and copier!